Last Week: Nailed it. 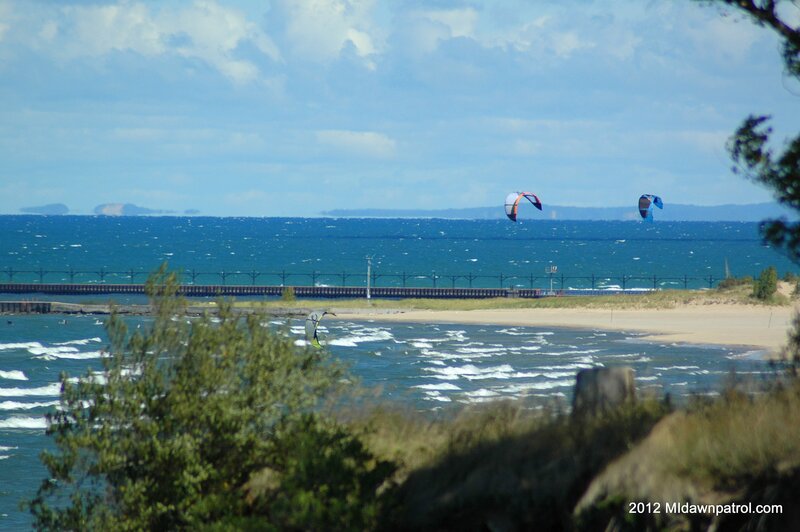 Sunday was a great day for south wind from Muskegon and north. We went to Meinert Park where it was perfect conditions. Check out my blog post and video update here! Today: Looks like about the only place there will be enough wind to ride will be atPt Betsie. There is a little more of a south wind in the northern half of lake MI. With the sunny skies, it should pick up in the afternoon to 20 knots. Saturday: This is a tough one. There should be plenty of sun with a southerly flow on Lake MI so my gut says Little Sable and Pt Betsie should be good. However, typically the forecasts show a little more wind than what they are right now. I’ll say there will probably be enough to ride. Sunday: Shaping up nice for a nice north wind. The best spots from north to south look like Manistee 1st street beach, Federal Park, Nordhouse Dunes, Pentwater, Cedar Pt Park, and Little Sable Point. Further south of Little Sable looks like it will be side offshore, which wouldn’t be good conditions. Wind should be from the upper teens to 25 knots. I’ll check in and comment Saturday or Sunday if things look like they are changing. Still looking good for a north wind for LSP and north. I think Manistee and Cedar Point Park will be good spots. South of LSP its looking side offshore or light, however, south of Holland it might be better.